In this section we will post tips and tricks that will help you with your home projects. 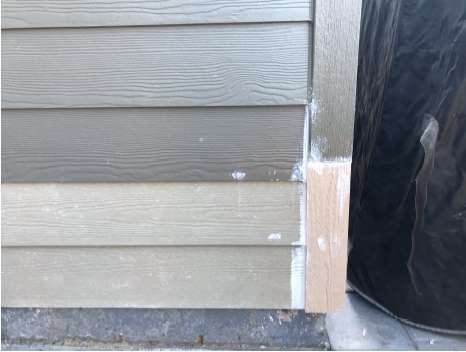 How to replace broken siding on your house using Hardie board. All safety equipment: safety glasses, face shield (if using a grinder), work gloves and adequate dust mask or respirator (check OSHA guidelines) and ear plugs. Locate the nails and pry them out to remove old siding. 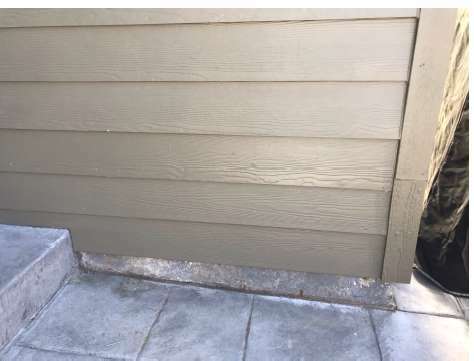 After removal of old siding, measure and cut length piece that you are going replace. You are ready to nail it. 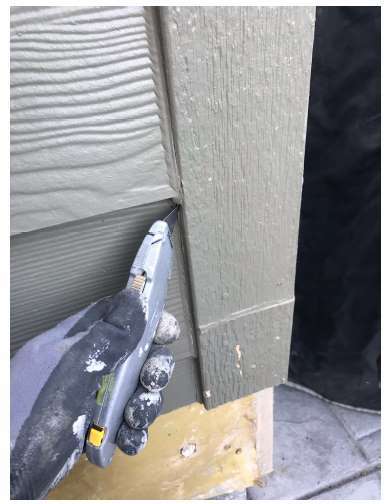 Make sure siding is leveled, drive your nails with hammer. You can also use siding nail gun but that will set you back about $300 and unless you do a lot of repairs it’s not worth to invest in. Tip: According to the James Hardie website, the actual overlap should be 1 1/4" for your Hardie board. Caulk your gaps on both sides. I also had to add a new trim as you can see in the picture. You are ready to paint it. Tip: Use fast drying caulk and do not paint immediately, wait until caulk properly dries otherwise caulk will crack soon after repair.